"he is an explorer, guiding through the strange past, shooting forwards into a future that shapeshift shivers , motorcycle throb, falling glass tension, torchlight in the dark soothing sometimes,whispering sensual danger too. 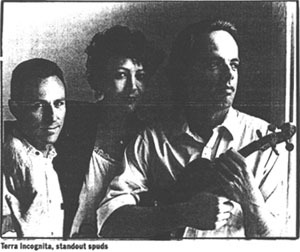 "he has two albums out at the same time and he is all over the NBTMusicRadio"
10 Richard Kapp and the Gowns – Fake! "The music contains all the themes and musical motifs that continue to fascinate the artist, the Production very much of it's time, which actually doesn't distract but rather adds to the subtle mix of soulNotsoul , fragile experiments , ghosts of exotic vinyl from Africa and even a hint of cinematic country and western, well worth a listen"
"It would be easy to approach Max Carmichael’s music with some preconceived ideas. Educated at Stanford, active in music for over 30 years, comfortable in the city, able to survive alone in the desert; there is very little about Max that makes categorization easy. "One would therefore expect music that is eclectic and complex and this album certainly delivers that. It would also be tempting to anticipate that the mix of eclectic influences and musical complexity would make for difficult listening but this album, for all its complexity, is an easy joy. Max’s many musical influences, from Jùjú to Bluegrass and disparate lyrical sources, from Chemehuevi to Irish poet Seumas O’Sullivan, contribute to a truly global sound. Max successfully synthesises these influences into songs that are illuminating, hummable and dance-able. 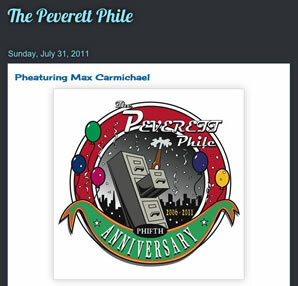 "The album consists of 10 songs that span 35 years of Max’s musical output. Reworked for this album in acoustic guitar/bass/percussion arrangements, these songs present a beautiful musical biography and are a testament to Max’s willingness to approach life’s bigger questions and smallest gifts with the same curiosity and love. My personal favourites are “Story of My Life” (written in 1980 and seemingly prophetic), “The Sheep” and “Helicopter”. The latter has been especially significant to me recently when I had to face some personal demons. "Max Carmichael is a rarity, a truly independent musician that escapes the pop trap of egomania and makes music for music’s sake. This is often a lonely occupation, but it does make for a pure, coherent vision. To my mind, those are all the ingredients that make for great music and this is great music that is easy to consume and beautiful, and I could not ask for more than that." Max's new album Lalaila was rated among the Top albums of 2013 by NBT Music Radio, in the company of established artists like Arcade Fire, James Blake and Laura Marling. 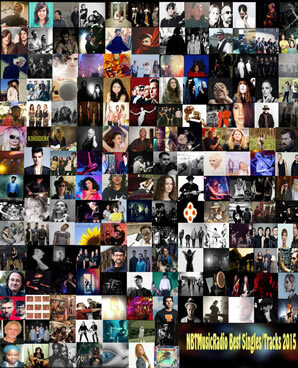 Be sure to check out the other "top artists" of 2013! Beauty Queen, from Lalaila, appeared on NBT's Top Tracks of 2013! 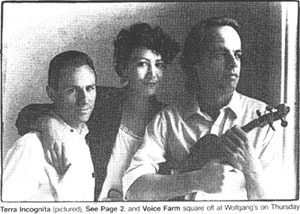 "What amazes me here is suddenly we are no longer in the artist’s beloved New York post Punk Loft dreamscape, but somewhere deep in that intellectual alt Americana that folks like Andrew Bird inhabit. It is fitting that this is the last song of this random journey, because the music is epic, growing, dense and like all that we have heard today, full of ideas, but never disregarding the raw emotion of it all." Max's new album Long Way Home was rated #5 on the Top albums of 2012 by NBT Music Radio, in the company of established artists like Grizzly Bear, Cat Power, Dirty Projectors and Grimes. 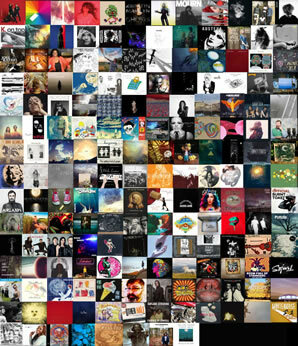 Be sure to check out the other "top artists" of 2012! 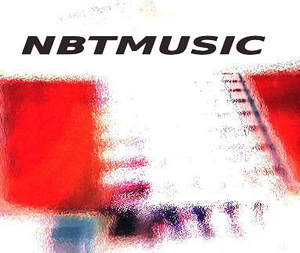 The Sheep, from Long Way Home, appeared at #8 on NBT's Top Tracks of 2012! 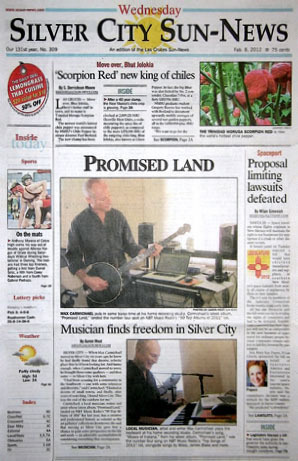 "When Max Carmichael moved to Silver City six years ago, he knew he had finally found that diverse, eclectic place that he'd been looking for. And funny enough, when Carmichael moved to town, he brought those same qualities -- and then some -- to Silver City with him." Dive into this revealing interview in the London web zine Song Revelation, and discover more secrets and lost treasures of the life and world of music! 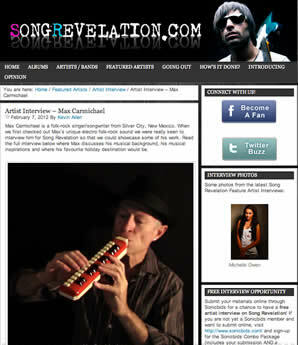 "When we first checked out Max’s unique electro folk-rock sound we were really keen to interview him for Song Revelation so that we could showcase some of his work...Max Carmichael utilises evocative and experimental influences to create an unique, yet appealing, sound." "Max Carmichael is the kind of guy you’ll want to swap stories with at your local watering hole… but not the kind of gentleman you want to find yourself in an argument with. This man has seen it all… from just about every angle. His bio captures it well: he’s a 'Stanford-educated rocket scientist, boxcar-hopping hobo, urban bohemian and desert survivalist' who also happens to have a knack for creating some really refreshing folk rock music. 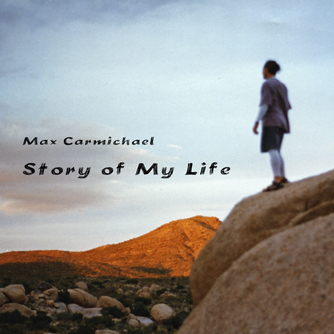 Max Carmichael is living his Oscar-worthy life on his terms." 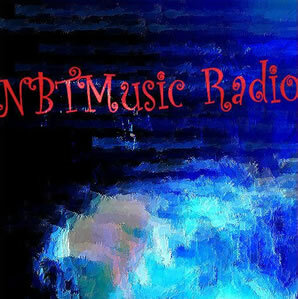 NBT Music Radio, an eclectic internet station based in Berlin with listeners worldwide, announced the 50 top albums of 2011 by independent artists. The list includes PJ Harvey, James Blake, Okkervil River, Wilco, Florence and the Machine, Kate Bush, My Morning Jacket, Chemical Brothers, and Bright Eyes. Max's album Promised Land appears in the #4 position, with the companion album Take Me Up at #11. Be sure to check out the other "top artists" of 2011! Moses of Indiana, from Promised Land, appeared at #4 on NBT's Top Songs of 2011, alongside songs by PJ Harvey, James Blake, Florence and the Machine, Wilco, and Laura Marling! Join the mailing list and get a free download! 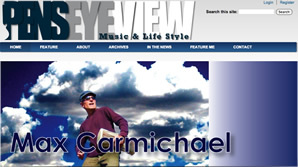 "Max Carmichael's unique blend of african and american guitar styles in 'Moses of Indiana' is a heartfelt emotional and relevant piece of work that should attract new audiences wherever it infiltrates." "Growing up as I did, in a family and a culture that took these things for granted, I really had no sense of being special, and my parents didn't make a big thing of it either, because they were both aspiring artists and musicians. Back then, there wasn't the culture of celebrity, American Idol or whatever, nor was there the kind of pressure to excel that you find in a lot of educated families now. There's a great quote from Kurt Vonnegut that every family used to have its own entertainers, but now that we're so celebrity-conscious, we're ashamed to entertain ourselves." 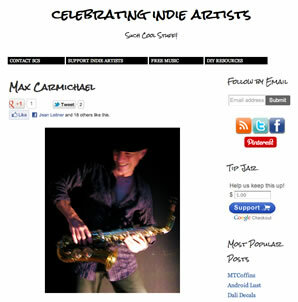 Insightful interview with Max on indie blog Such Cool Stuff. 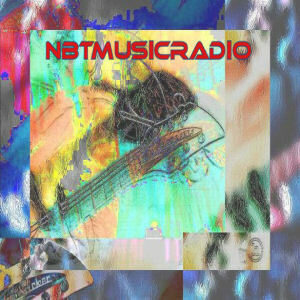 "Creating art - music, visual art, writing, etc. - is the most rewarding thing I do. It's a paradox because it's sometimes hard to get started, and it's often a painful process, but when it's going well, and when it's done and you look back on it, it justifies all the hardship and makes you feel like you have a place in the world." 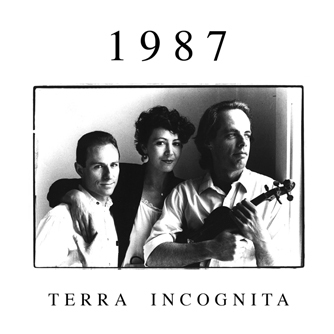 "Terra Incognita, in covering the white gospel number 'Rank Stranger' - the album's standout - salutes bluegrass heroes, The Stanley Brothers, by gutting the instrumental and faithfully recreating the desolate lyric." "In the same mournful mood as 'Canto del Pilon' is Terra Incognita's "Rank Stranger,' a song associated with the legendary country duo the Stanley Brothers - one of whom the song is dedicated to. It's good to see that neither Carter Stanley, who died in 1966, nor the kind of music he loved has been forgotten." 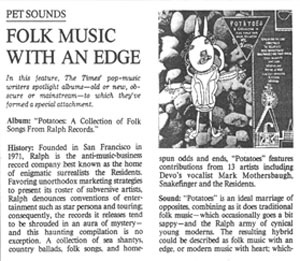 "Terra Incognita fuses the disparate styles of African juju music, American and Canadian bluegrass, and the English revival sound of Pentangle into an ethereal tribal sound whose percussion comes from the violin being picked like a guitar."